Why a List of Birds That Have Shorter Lifespans? Some members of the avian family are some of the longest-lived, warm-blooded animals on the planet. Macaws are famous for having a lifespan that could reach up to 80, or even 100 years. Other common pet parrots can live a hefty 40-60 years. 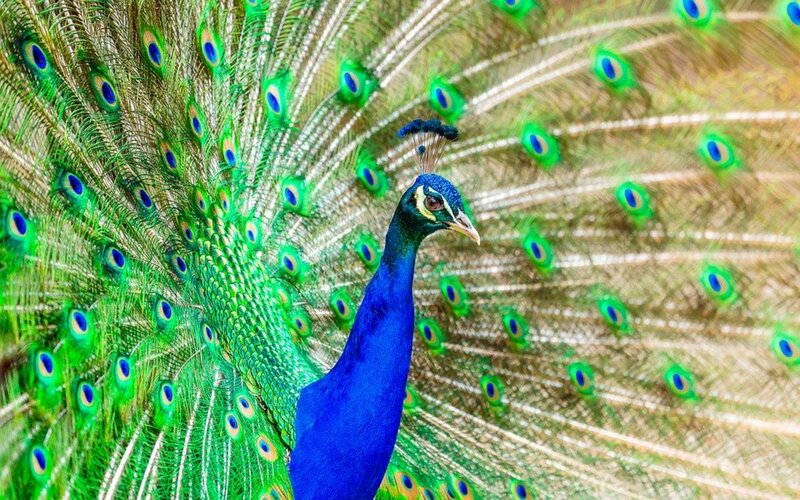 For many people, this could be a deal-breaker when it comes to choosing a bird as a pet. While most of us would like to have our pets around as long as possible, some people don't plan on spending the next 30-90 years as a bird owner. Future life changes such as college, travel, and career opportunities could make someone prefer a pet that doesn't have the capacity to live for a quarter to half of a human's lifetime. Of course, an ethical pet owner will do everything in their power to ensure the animal lives as long and as healthy of a life as possible. 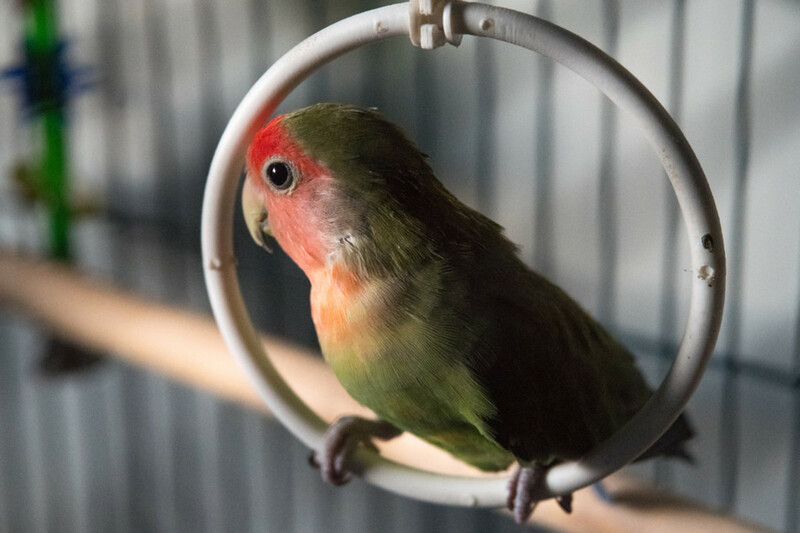 There are many factors in the pet bird trade that create a big divide between how long a bird can potentially live, and how long they tend to live in captivity. Diet. 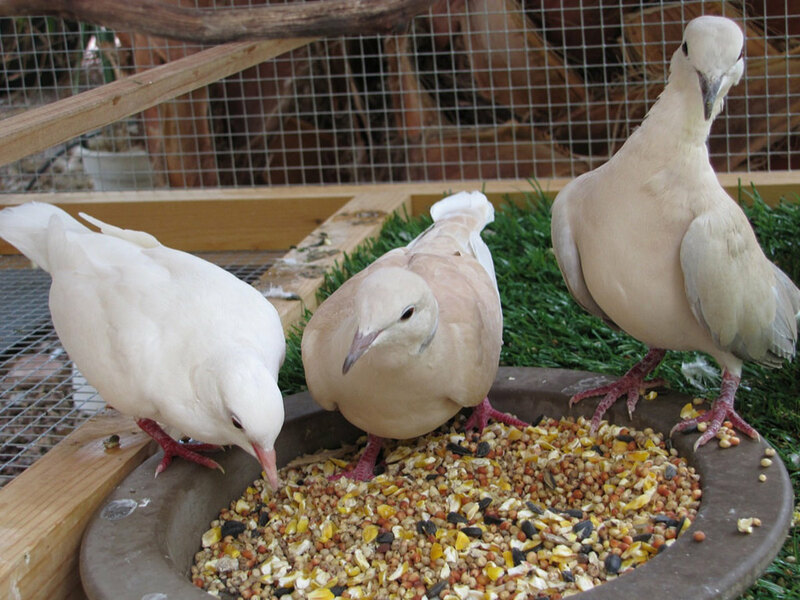 Nutrition is probably the single most important factor affecting pet birds. Many parrot species are fed a diet of seeds which is now widely known to be inadequate and results in premature death. Many pet birds are addicted to their poor diet and it is difficult to switch them over to a healthy one composed of nutritionally complete pellets and fresh vegetables. Cleanliness. Birds can be very messy creatures and they produce a lot of waste in order to keep their bodies lighter for flight. If their cages are not cleaned regularly, this can create an environment ideal for pathogens to cause infections in the bird. Socialization. Psychological welfare is as important as physical health for animals. Stress can sicken and kill birds early. One cause of stress is inadequate opportunities for the bird to socialize with either other birds or their caretaker. Unfortunately, birds are often re-homed as well, contributing to a poorer disposition and less opportunities for them to bond to their new owners. Enrichment. 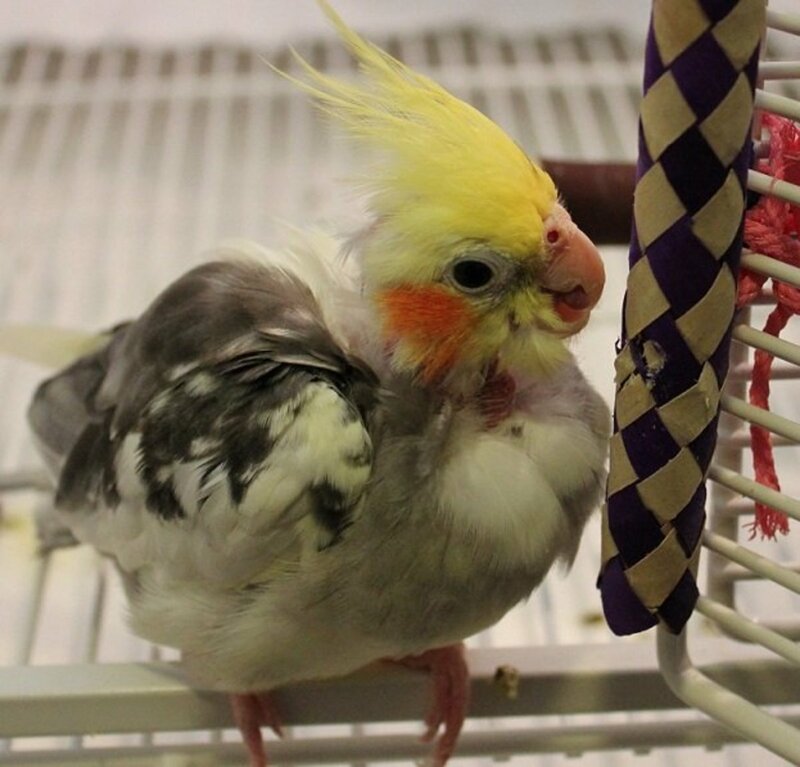 Another stressor for captive birds is boredom. There are many easy ways to allow your pet to forge for food, allow them to mentally stimulate themselves and exercise. One obvious trend of pet bird lifespans is that bigger birds tend to live longer, and smaller birds have the shortest life expectancies. This is in direct contrast to dogs where smaller dogs definitely live longer. There is some variation in the medium-sized parrots where some birds, such as conures, tend to live around 20 years but could live up the 40. In cases like these, it is likely that many species die early from non-perfect care, even if they do live longer than they would in the wild. Most pet bird species have lifespans that reach at least 20 years-ish. 25-30 is common. For the first section of this list I will list birds that live no more than 20 years, with no 'centenarian' individuals exceeding this number by more than 10 years. Pet button quails and other quail species have a remarkably short lifespan comparable to small pet rodents. On average, males will live 3-5 years and females 2-4. Some individuals have lived up to 9 years old, making this species' lifespan well below 20 years. The health of the female can be determined by how often she lays eggs and whether or not she's received adequate nutrition to keep up with this. 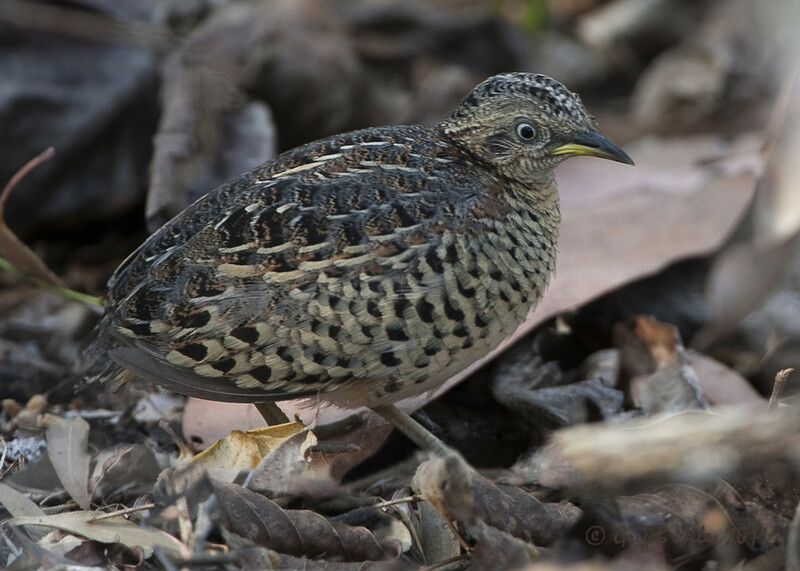 Most people might not think of getting a quail as a pet, but with the right care, they are perfect for someone seeking a bird to keep them company for a few years. 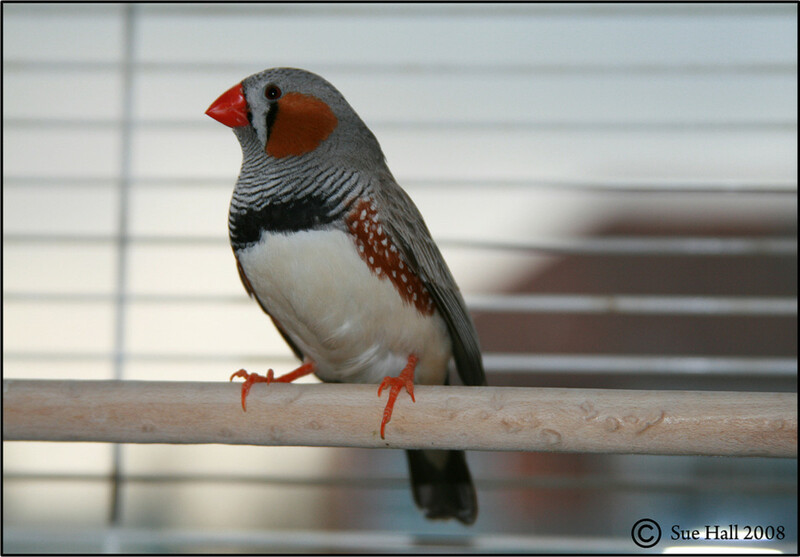 The zebra finch is a popular pet bird that has been kept in captivity for more than 100 years. They can live around 5 years in the wild and 5-9 years on average in captivity. One individual lived to 14.5 years. Gouldian Finches are another colorful, popular pet bird that live 8 years on average, although some individuals have reached 12. 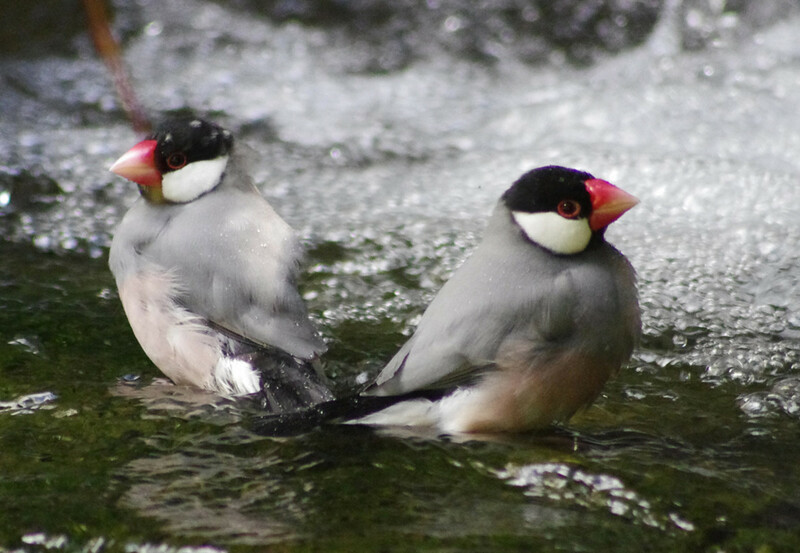 Finches are great birds for people who prefer a pet's lifespan to be under 15 years, although they are better for viewing than with interacting. 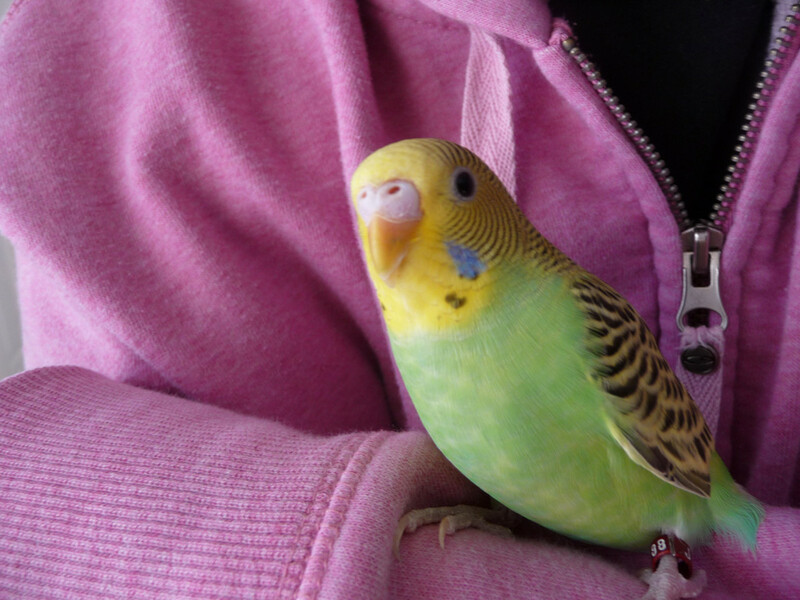 'Budgies' are some of the smallest parrots, and they are extremely popular pets. Their ease of care and short lifespans make them a good 'starter' bird for first time bird owners and responsible children. How long these small birds live is strongly dependent on the quality of their care. Their state lifespans vary from 5 to even 20 years. You will probably see 20 year old budgies as often as you see humans older than 105, so a better estimate for a very well-cared for budgie is 8-10 years. 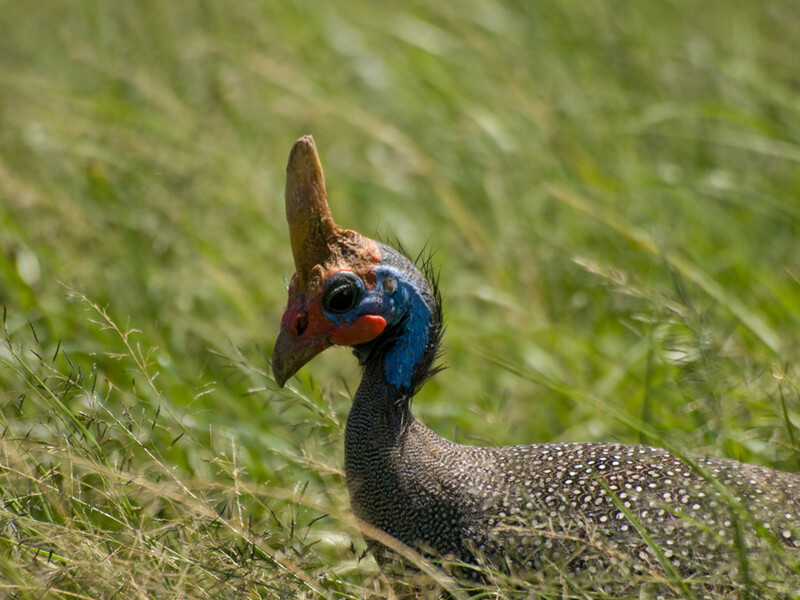 Domesticated guineafowl originate from Africa and can be kept in a similar fashion to chickens. They are related to other game birds such as pheasants, turkeys and partridges. They can live up to 15 years. Unlike finches, these small commonly-kept soft-bills live 5-10 years on average but some can live up to 15 or even 20. With extravagant care, a canary can be around for as long as a dog, so take this into account. 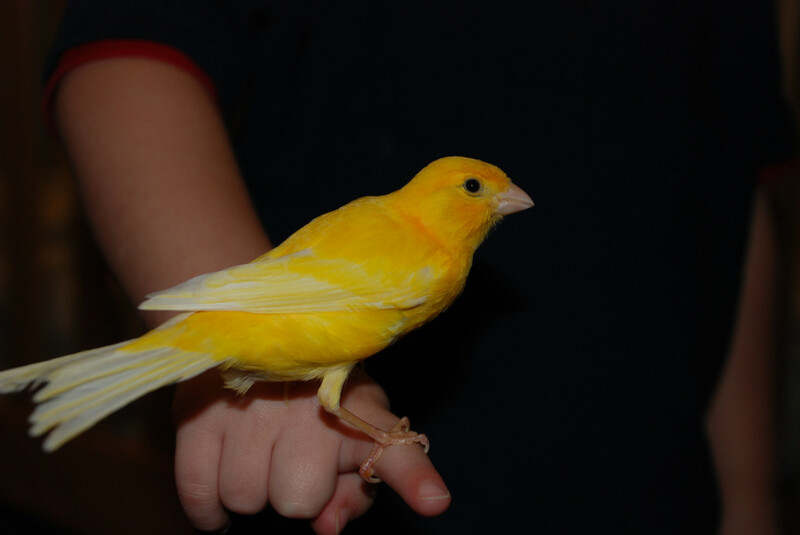 Male canaries tend to live longer due to their egg production being taxing on their bodies. These small parrots are unfortunately accident-prone. As tiny, interactive birds that enjoy human company, they can accidentally be stepped on, have things fall on them, or crushed in other tragic ways when they are allowed to play outside of their cage. 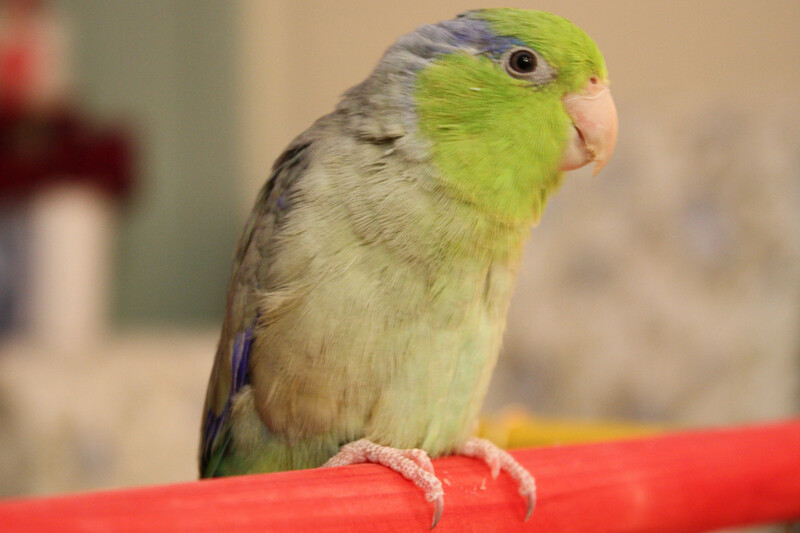 Extreme caution needs to be taken when parrotlets are let out. These tiny birds are said to have a lifespan of 12-20, however some owners have reported higher...possibly up to 30. So despite their size, they are a longer lived bird and they will demand your attention. As their name implies, love birds prefer to have another bird to partner with but if they are kept alone, a human should be an available surrogate friend for them. Love birds live on average 10 years but they can live up to 20. Some owners, if they are correct, have reported even higher lifespans, up to 25. Pigeons have short lifespans of around 5 years in the wild, but in captivity, they are said to live about 15 years. One individual was recorded at 33 years. Since most of the birds that generally live under 20 years are smaller and very few are companion birds, here is a list of pet birds that may live over 20, but generally the average lifespan for well-cared for animals is around 20-25. Ringneck doves are popular domesticated birds with distinctive vocalizations. They are very tame and do well as community birds. Their estimated lifespan is 15-27 years. In the wild these immensely popular and affectionate birds can live 10-14 years, but in general most well-cared for birds live about 20 years. There have been individuals exceeding this number, however, up to 32. Aracaris are extremely interesting birds and not as often kept as the others on this list. They are member of the toucan family and are sensitive to high levels of iron in their diet. 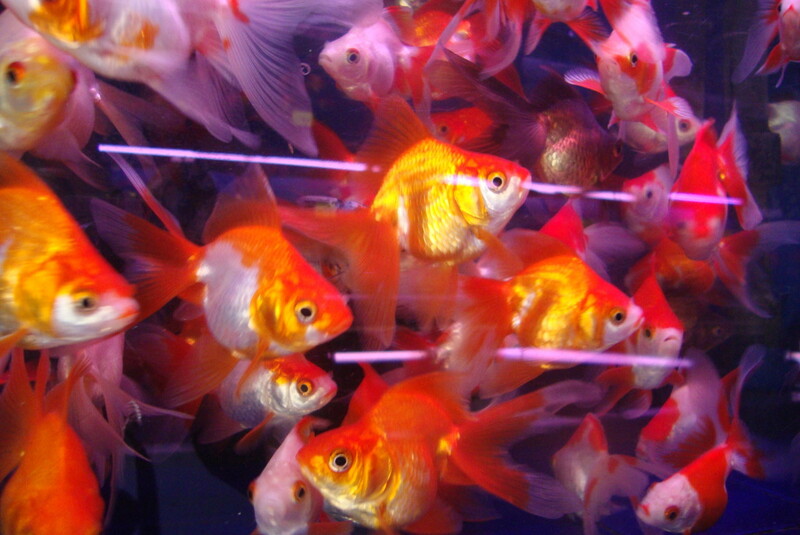 When fed special low-iron pellets and a fresh fruit diet, they can live 20 years, with 26 being the longest recorded. 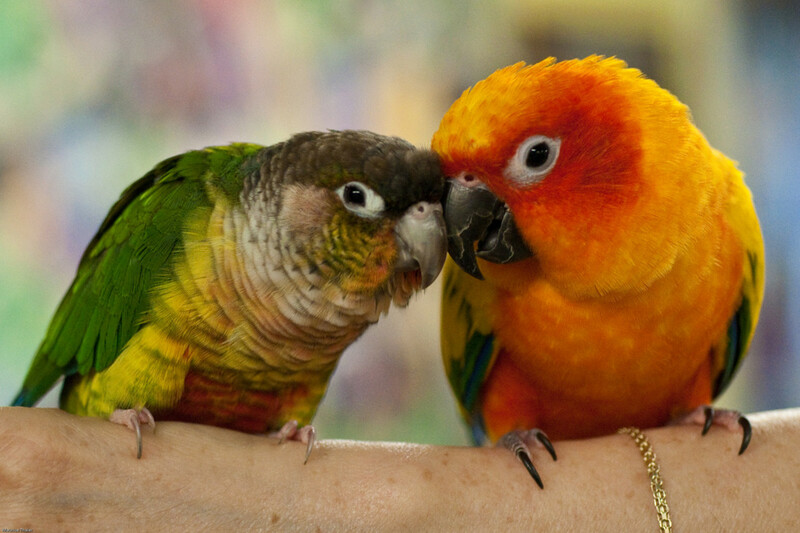 Conures are popular meduim-small parrots with lifespans that vary from 20-25 to 30 years. Great information, i have a bird and will try all techniques especially the diet Nutrition, it is useful for life span and very amusing to watch it doing these stuff like shared video. thank you. I have a Nanday Conure that I've had since he was a baby. He is now nearly 29. Melissa, not sure why you think I'm out to criticize you. Of all the sites I check semi-regularly, yours is the only one which is a page on a user-generated content site. 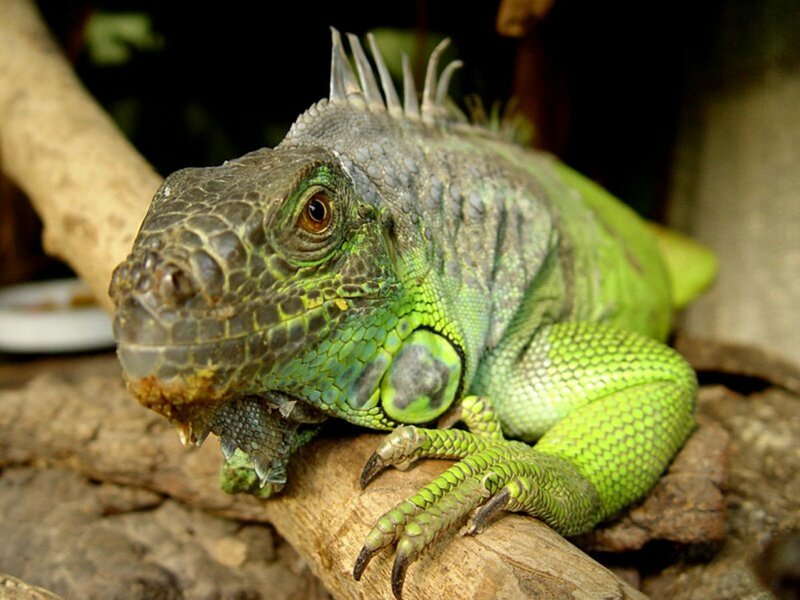 I love the articles you do debunking myths about exotic pets, and I use them regularly when arguing with people who oppose exotic pet ownership. I also appreciate the way that you have in the past challenged the idea of "starter pets," an appalling notion that animals like turtles, goldfish, and budgies can be kept in conditions that will kill them quickly and that's fine because it's a "learning experience" for the kids. 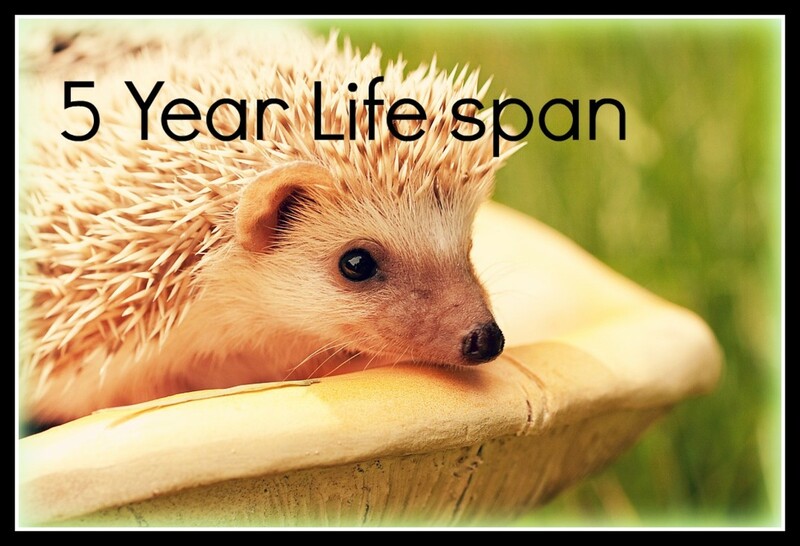 Your research about lifespans are basically accurate. (I'm skeptical of the commonly cited claims for lovebird lifespans because most people with lovebirds treat them like canaries, keeping them in a cage, feeding them seed, and never interacting with them. Anecdotally they can live over twenty years, but the figures you give are consistent with most of what's been published on the subject.) My issue is that by including so many parrots—particularly conures—and by grouping parrotlets in with buttonquail and finches, you perpetuate the conception that birds don't live very long. All parrots can be expected to live at least as long as a large dog, and almost all can be expected to live at least as long as a cat. 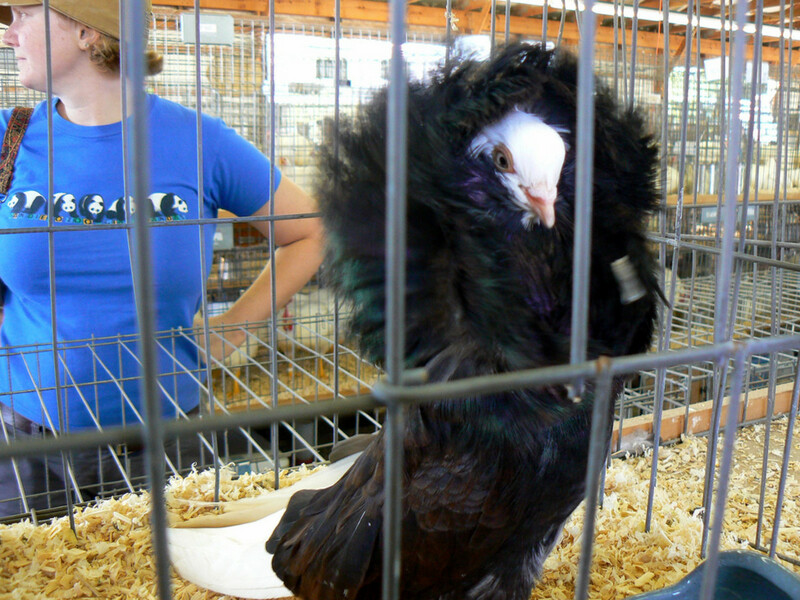 And yet people have this notion that "oh, it's a bird, it won't live long." They thing long and hard about getting a cat but not a parrot. The reason for my "horrified" comment was because of the inclusion of conures on your list. 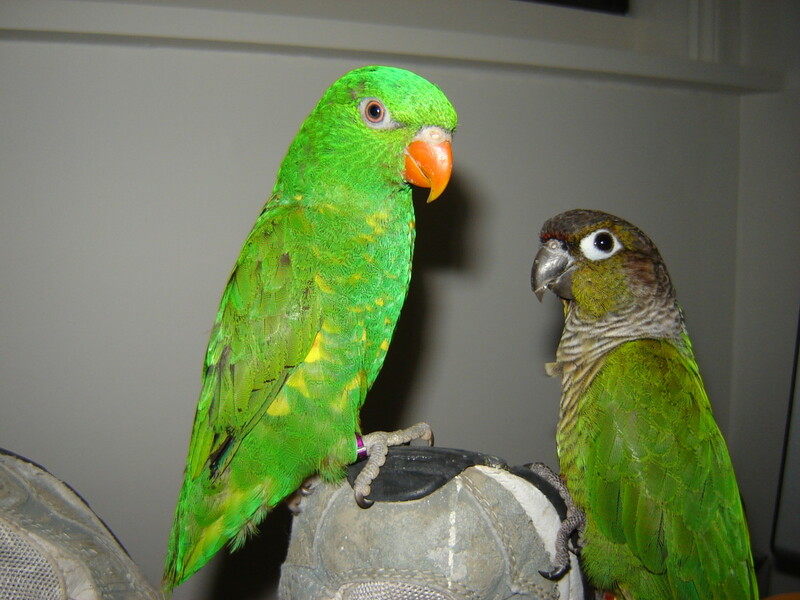 Green-cheek, sun, nanday, and jenday conures are already among some of the cheapest parrots available, and I frequently see all four species being rehomed on Craigslist. Most of those are between 1-2 years of age, which suggests people haven't done their homework. The remainder are people who had the birds for awhile until major life changes rendered that impossible. Green cheeks are relatively easy to rehome, but by the same token, my green cheek had at least three different owners before me. The other three species of cheap conure will probably find homes eventually because they're inexpensive and pretty, but they're also really loud and completely inappropriate for apartment living (and unacceptable for many peoples' lifestyles), meaning many of them face a series of rehomings until ending up in a sanctuary or dying early from improper care. So the idea that someone would read this and think a conure is a pet with a relatively short lifespan absolutely horrifies me. The minimum life expectancy even for greencheeks is close to the maximum life expectancy for cats with proper care. And like I said, I have a broader issue with the prevalence of parrots on this list because relatively cheap + relatively long-lived means cockatiels and quakers also seem to get rehomed a lot, and I'm seeing an increasing number of parrotlets as they become cheaper and more popular. If you want a bird which is relatively short-lived but still makes a good pet (canaries and zebra finches are short-lived but basically feathered aquarium fish), starlings, mynahs, and mousebirds are all better options than any parrot except a budgie. (Though buttonquail, pigeons, and guinea fowl are all great suggestions as well, and guinea fowl aren't something I'd have thought of.) 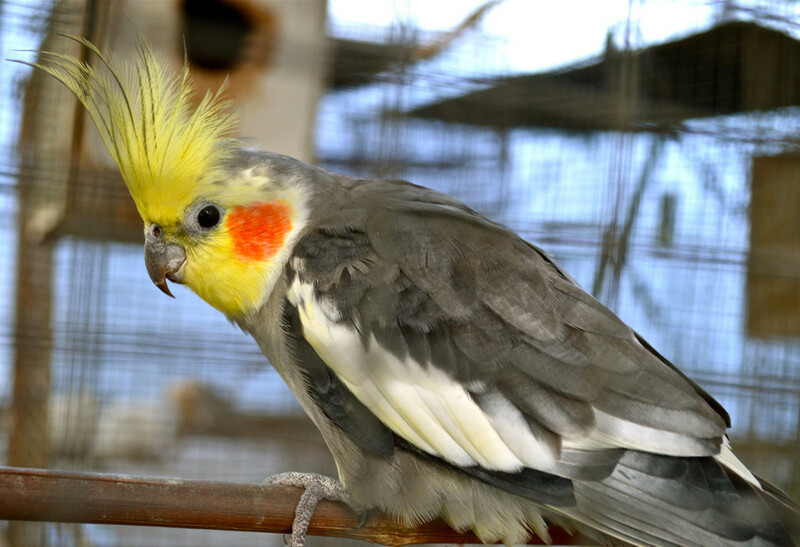 If you specifically want a parrot which is short-lived, a kakariki is a better choice than a cockatiel or parrotlet, and certainly a better choice than a conure. AP, not sure what is up with you tonight but you seem to be looking to criticize me for no reason. I don't know what you're 'horrified' by but this is the information that multiple sites state. Where is your information coming from? For conures, I wrote 20-25 to 30 years. That seems in line what what you said? What are you horrified about? Should I have written 20-35? Can they live to 50? Where can I find this information? Furthermore, what makes you think these birds can 'easily' live to 30? You would have to show me a healthy population of 30 year old birds consistently reaching this age when cared for reasonably well. Melissa, I generally love your work but I'm a bit horrified by this. 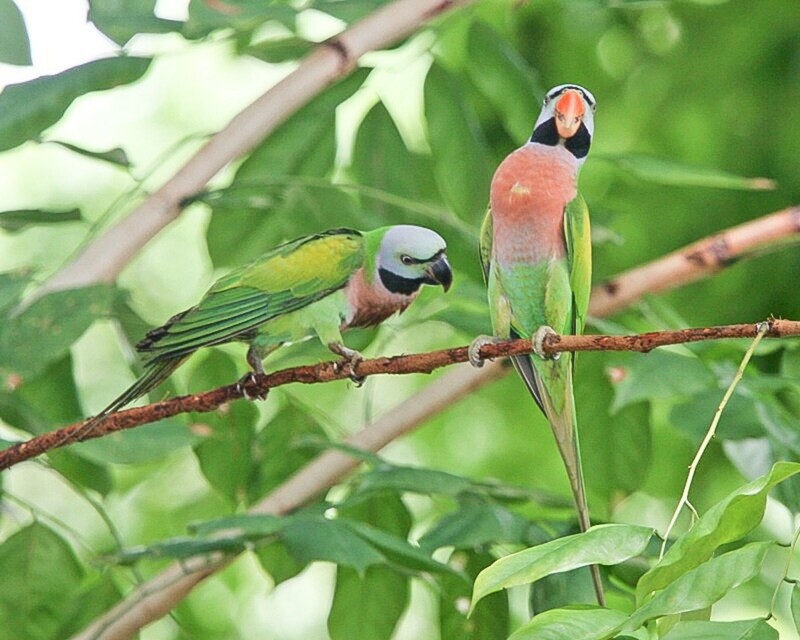 Excepting budgies, parrots, even small ones are relatively long-lived for birds of their size. 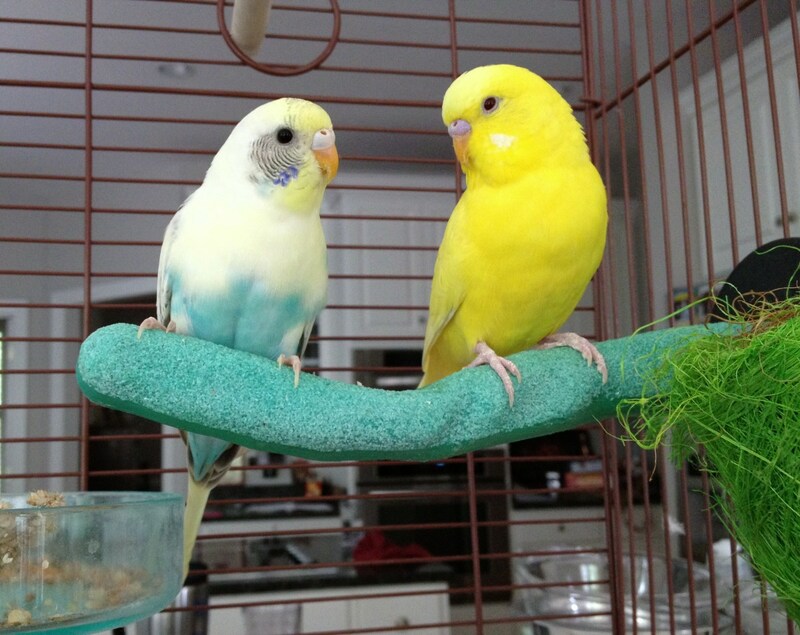 Lovebirds and budgies do almost always live under 20 years and parrotlets and cockatiels *tend* to, but parrotlets and cockatiels can easily exceed 20 years with proper care. And with conures, twenty years is the *minimum* life expectancy for the greencheeks, most will live longer with proper care. With the larger, more colorful conures you should expect at least 30 unless something goes horribly wrong. Mousebirds are hard to get your hands on these days (but still turn up rarely; I've seen them for sale more often than hyraces and kusimanses) and have rather tricky diets, but no more so than an aracari. They generally live around eight years. Starlings are easy to find, legal in almost all states, and can make entertaining pets if you can tolerate their messy droppings. (I can't in an indoor setting which is why I've never had any.) Like mousebirds, they rarely exceed a decade in age. Mynahs have a diet that's slightly easier than a mousebird's, but only slightly. They will live about as long as a cockatiel with proper care. One parrot you didn't mention, but which is relatively short-lived for its size and reportedly quite affectionate is the kakariki. They definitely won't exceed twenty years, and despite being somewhat rare in aviculture still sell for under $500 as babies. I also think barbets are worth looking into, though they're not something I'd have suggested for your article since as far as I know nobody hand-raises them. Technically, toucans and aracaris are a group of barbets specialized for eating fruit, as some barbets are more closely related to toucans than to other barbets. 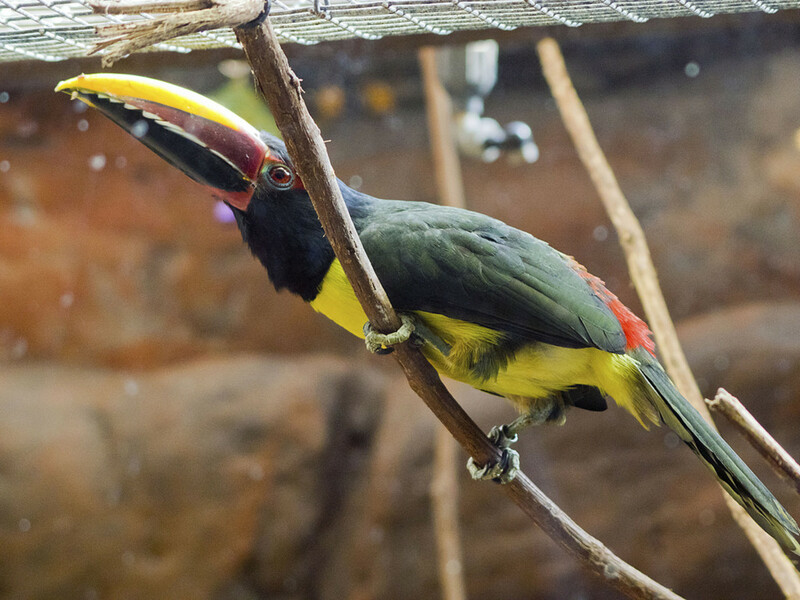 Barbets are seed and insect eaters but their relationship to the toucan family suggests they'd probably make good pets if hand-raised, and I would guess their lifespan is probably similar to that of the smaller members of the toucan family. Lovely pictures, cute birds and interesting information shared. Thanks.